What is a Solar Garden (also called a Community Shared Solar Array)? A solar garden is a solar electric array with multiple subscribers (participants) connected to the utility grid. The subscribers may purchase or lease some of the solar panels in the array. Just as if the panels were on their own roofs, subscribers receive a credit on their electric bill for the power the panels produce. Utility customers within the solar garden’s service area, including residences, businesses, local governments, non-profits, and faith-based organizations, can all subscribe to the sun. It’s like a community garden, except you have a patch of panels instead of a patch of vegetables! What is Community Supported Energy? A community supported solar array might be hosted on a school, library, house of worship, or community center. A group of small investors within the community pool their resources to build the solar array and sell power at a discount to the host. The investors typically receive a direct payment rather than an electric bill credit. How big can a solar garden be? That depends on utility rules and state regulations. In XCEL Energy’s Colorado territory, solar gardens can be anywhere from 10 kilowatts, which would fit on a large roof, to 2 megawatts, requiring up to 16 acres. An average single-family home would offset 100% of its electricity usage with about 2-5 kilowatts of solar power. Under the California bill SB 843, solar gardens could be as large as 20 megawatts (160 acres), which could power over 5,000 average homes. What is the Solar Gardens Institute, and how does it work with the local community? The Solar Gardens Institute provides public education and policy support promoting solar gardens and community supported energy. SGI builds real grassroots support for projects by working with local non-profits to help locate the project and subscribers. Solar gardeners, who are part community organizers and part project managers, assist in developing the projects. SGI provides training and tools to empower solar gardeners. What are the steps to starting a solar garden? A solar gardener organizes a solar garden, working on 3 tracks: Policy, community organizing, and project development. These usually happen concurrently. Promote policies that support solar gardens: Work with your local utility to develop a solar gardens program. Find a state legislator to champion a solar gardens bill at the state level. Work with your county planning commission to develop zoning rules for solar gardens. Support policy at the federal level such as the SUN Act. Organize communities: Hold/attend community meetings, recruit early adopters, partner with a local nonprofit. Neighborhood associations can help get people together and tend to know about specific churches, parking lots, etc., so they can help with asset mapping. Find host sites: Properties of 1-20 acres near substations or utility distribution lines and large roofs can serve as host sites. Your local utility can let you know the cost to interconnect. Find subscribers: In addition to regular subscribers, businesses, nonprofits, city governments, and other large power users who can use a significant amount of the power can be “anchor” subscribers. In Colorado, at least 5% of subscribers to a solar garden must be low income. A subscriber is an electric customer who owns a portion of a solar garden. The subscriber receives a credit on their electric bill for the power the panels produce. What is an anchor subscriber? An anchor subscriber is a subscriber who takes a large percentage of the garden (40% in Colorado) and is willing to buy subscriptions from people who move as well as sell subscriptions to new people. What is a subscriber organization? A subscriber organization is defined in the Colorado Community Solar Gardens Act as a company founded for the purpose of managing a solar garden and its subscriptions. A subscriber organization can be a limited liability corporation or a cooperative. A subscriber organization must be structured carefully due to the requirements of securities law, the tax code, and financial institutions. How much solar can I buy? The minimum subscription size varies – in Colorado’s XCEL Energy service area it is one kilowatt (about 4-5 panels). In other areas the minimum subscription can be as low as $10. The maximum subscription size is enough panels to provide all the average annual electricity consumption at the subscriber’s premises. We can work with you to determine the appropriate system size for your usage and your pocketbook. If you move within the same area (in some states, the same county, and in others within a certain number of miles), you can transfer your subscription to a new meter. You can sell your subscription at any time you choose, if you move out of the area. Who can host a solar garden? A solar garden host provides a location to install a solar array to be connected to the utility grid. For example, a school or other public building might host the panels, or they might be hosted on a privately owned building or private land. Local zoning regulations must permit the use of the land for a solar power plant, and the power utility must be able to interconnect the solar garden to the electric grid. Subscribers must be in the same utility service area as the solar garden. On XCEL Energy territory in Colorado, a solar garden must be in the same county as the subscribers, with some exceptions. There are two main ways of financing a solar array – crowd funding and a power purchase agreement . With crowd funding, small investors in the community each pay for their subscription or invest in panels for mid and lower income folks to purchase over time. A larger array using a power purchase agreement from a third party financier provides a way for subscribers to save money immediately without an up-front payment. What qualifies a site to be a solar garden host? A solar garden host can be a building (school, warehouse, public building, etc. ), a parking lot, a brownfield site (land previously used for industrial or commercial purposes), and so on. Retired farmland or the corners of irrigation circles can make good host sites. The size of a solar garden depends on regulations in each state. Panels typically have a warranty of 25 years and generally are expected to last much longer. A typical warranty will guarantee that in year 25, the panels produce 85% of the power they produced when new. Comprehensive insurance is typically included in the price to cover events such as theft, hail damage, or low production by the solar panels. What’s an O&M fund, and how does it work? An Operations and Maintenance fund is set aside out of funds used initially to build the project and potentially also out of revenue produced by the solar array. This fund helps maintain the array, as well as cover any uninsured expenses, in case there’s something not covered by the insurance policy. If not needed, this fund can be used eventually to purchase the array for the subscriber organization. What kind of panels are used for a solar garden? Are they American-made? Any kind of panels can be used in a solar garden, including American-made and some foreign-made. Most commonly, silicon electric solar panels are used, though other technologies are a possibility. Most jobs in solar are in the area of installation rather than in manufacturing, and the Solar Gardens Institute encourages using local labor to support the local economy. What’s the rate of return on a community solar investment? The sun shines everywhere–over time, solar panels will pay for themselves wherever you put them. The rate of return for a community solar facility is determined by the costs of electricity, solar panels, maintenance, and administration — plus the amount of sunshine available. State and utility incentives play a big part in determining the overall payback time, which can range from 6 – 20 years, with 8 – 14 being the most common. The Solar Gardens Institute can assist in building financial models for community solar in your area. To learn more, contact info@solargardens.org. How do securities regulations affect solar gardens? Like stocks or bonds, shares in a solar garden may be considered a “security”. In the United States, the four-point Howey Test determines whether a particular offering is a security. Securities registration can be a complex, time-consuming, and very expensive process. Certain types of securities may be exempt from registration under federal law, such as securities issued by cooperatives, nonprofits, or electric utilities. Consult a qualified attorney for advice on securities matters. Which U.S. states allow solar gardens? Solar gardens laws have passed, but public utilities commissions are still establishing rules in California, the District of Columbia, Hawaii, and Maryland. In other states, some utilities have begun solar gardens programs on their own. The list grows every day! Encourage your local utility to establish a solar gardens program. Congratulations to your organization, the Colorado Legislature, and Gov. Ritter for getting the enabling legislation signed. I worked with my California Assemblyman to introduce similar legislation here in early 2010, but the bill did not move forward as I would have hoped. Colorado’s achievement will help other state governments find the courage to move forward. Hello: What an e xciting concept and one I wish to learn more about as soon as possible. But, first of all, how large are the panels and what do they cost. I have been using solar panels on our home and some office buildings since 1982 and they are great. But we must know the basic cost of the panels to start planning any practical way to make the process work. Great idea! What’s stopping it from universal passage in all states? How does the investor get a ROI, from selling at wholesale, or offsetting their retail bill? In California the difference is up to $.35/kwh. At less than $.10 the ROI is not attractive to most homeowners. So what happened? Did the SUN Act pass, so now the 30% tax credit is available to individuals participating in a solar garden? As of February 2012 the SUN Act has not yet passed. It was supposed to be attached to the climate bill that failed in 2010. Keep in mind it’s in the U.S. Senate, the definition of gridlock. Community Solar Gardens fill and fit a great niche in Colorado for renewable energy. It appears that after 2014 the PUC can ‘order’ private utilities to purchase more than 6mW from Community Gardens per year–I hope this becomes the case–where property owners can convert under-utilized land into renewable energy generators and produce several hundred mW of clean power. Hi I need your assistance in forming an community based solar garden in several communities in Georgia. The 9th district of North East Georgia is my primary base of concern. Please contact me as soon as possible 706-994-8704. Thank you in advance, James Myles Head d/b/a MYOWNBOSS. 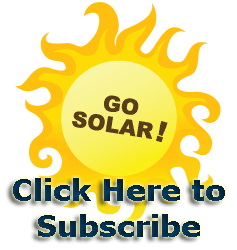 Do you have information about the Maine Solar Garden law? I can’t find it and I am interested. Thank you. I am interested in solar panel hosting and solar gardens. I am a home owner; and I have a friend that owns a business that we believe would be ideal for this. Please is it possible to have someone contact me 910-947-3769. How about a phone number for your organization? Am I carbon neutral then if I purchase energy from a solar garden?